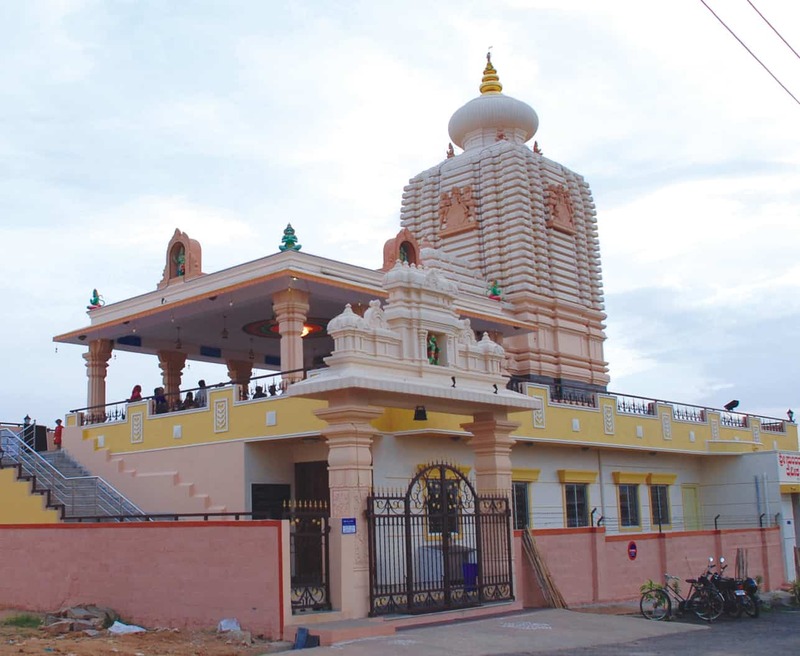 An exquisite temple for Sri Sundara Anjaneya Swami with an Oriya style vimaanam has been built at NRI Layout, Ramamoorthy Nagar, Bangalore. The beautiful gold plated ‘kalasam’ mounted on top of the Oriya style temple architecture meets our eye instantly as we enter. The Lord stands here as an embodiment of inexplicable beauty willing to pour His grace upon all those who have His darshan. 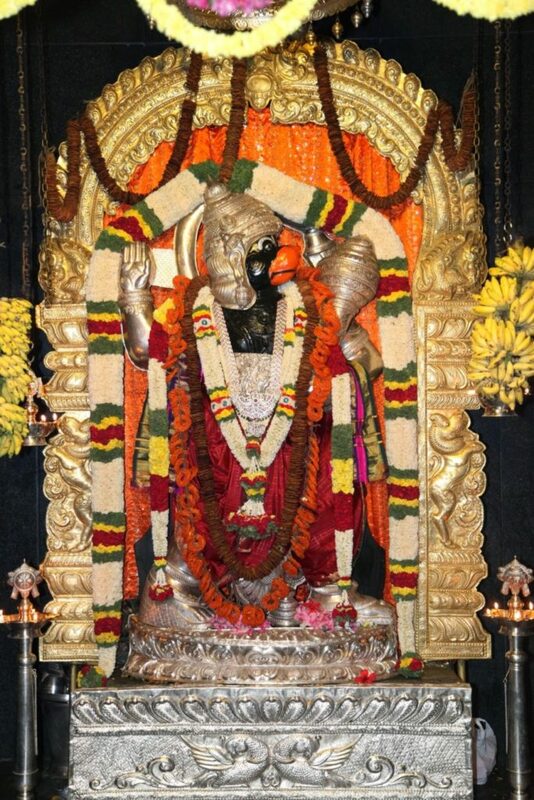 In Ramamoorthi Nagar, near Kalkare area of Bangalore, a plot of land was bought through public donations and Veda Vyasa Purana Patasala Trust which supports the teaching of our scriptures, ithihasas and puranas; and the Mukya Prana Seva Trust that administrated the activities of Sundara Anjaneya Swami temple was established. 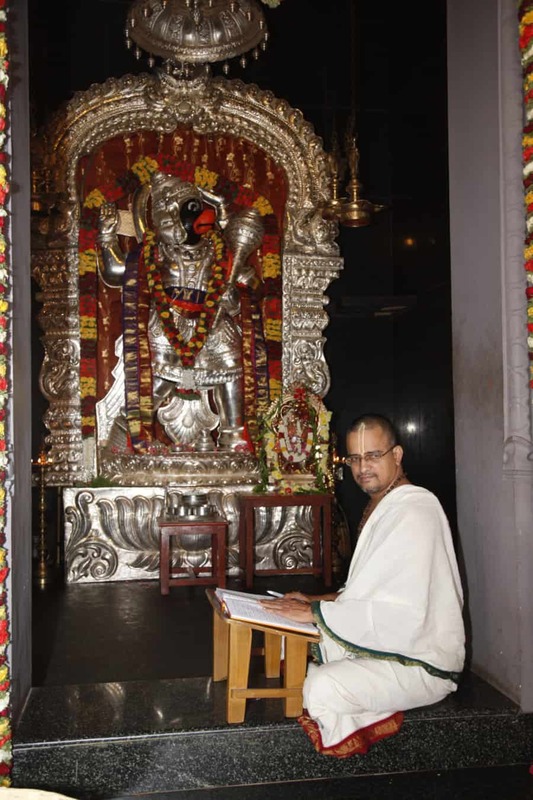 The first time that Sri Swamiji visited this place, bhakthas asked Sri Swamji how the Purana Patasala should be made. Sri Swamiji said that the place was full of saanidhyam of Sri Anjaneya Swami, and so there must definitely be a temple for Sri Anjaneya at that place. At the same moment that Sri Swamiji uttered those words, the form of Anjaneya magically appeared in the clouds overhead, all of a sudden on an otherwise bright, sunny day! People present there were astonished to see this. It was after this that attached to the Purana Patasala, Sundara Anjaneya Swami temple, a very beautiful Veera Anjaneyar has come there. Devotees are specifically relieved of navagraha doshams and troubles from evil forces. 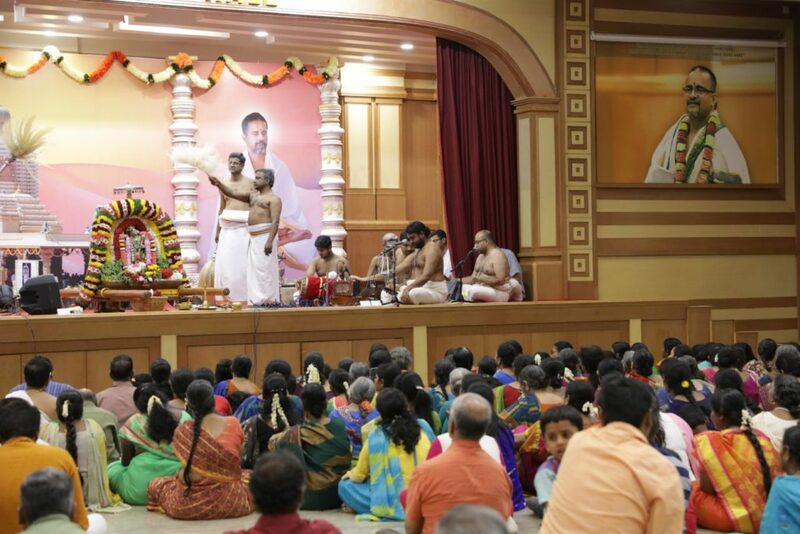 Daily pooja is performed as per Bhagavatha Dharma. 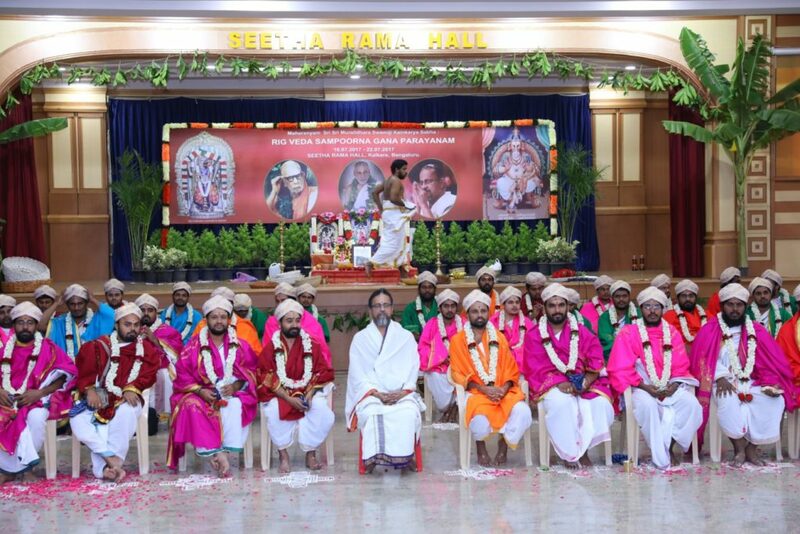 The Patasala is attached to the temple, and the students are taught various aspects of our itihasas and puranas – with both theoretical and practical aspects. 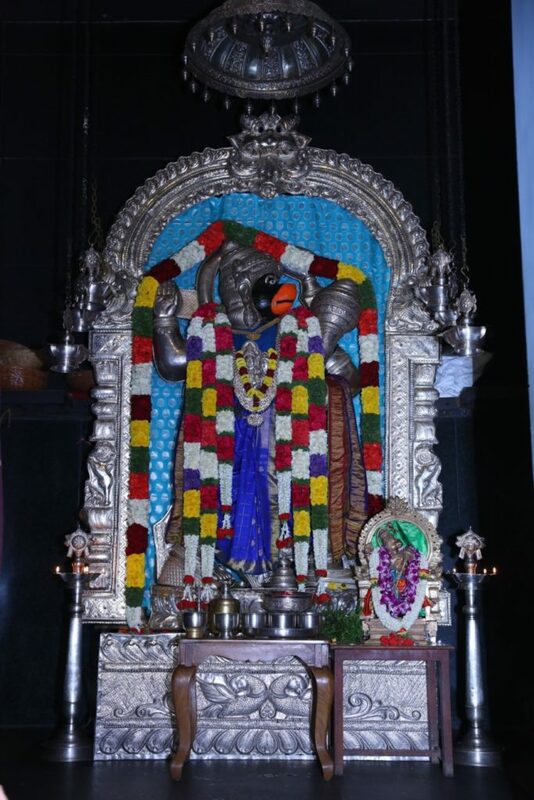 Sri Swamiji says Sundara Anjaneya is alive and so full of saanidhya. 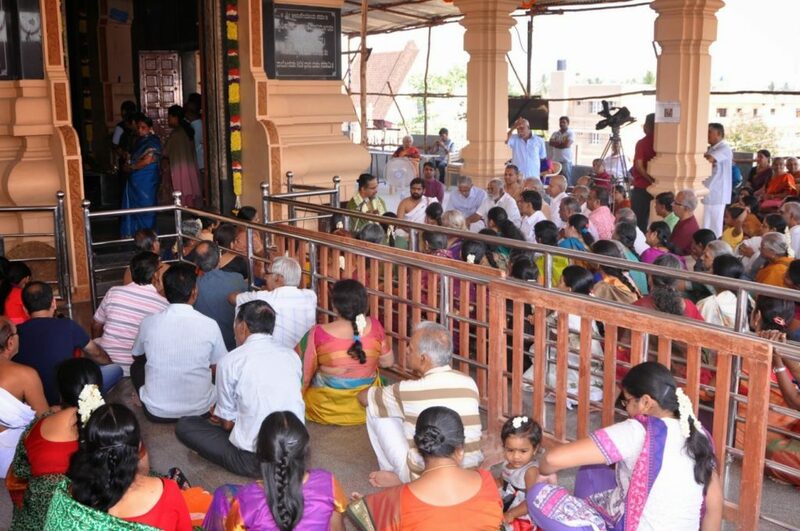 Prayers of thousands of people have been fulfilled there. All sevas here are taken care of by the Mukya Prana Seva Trust. 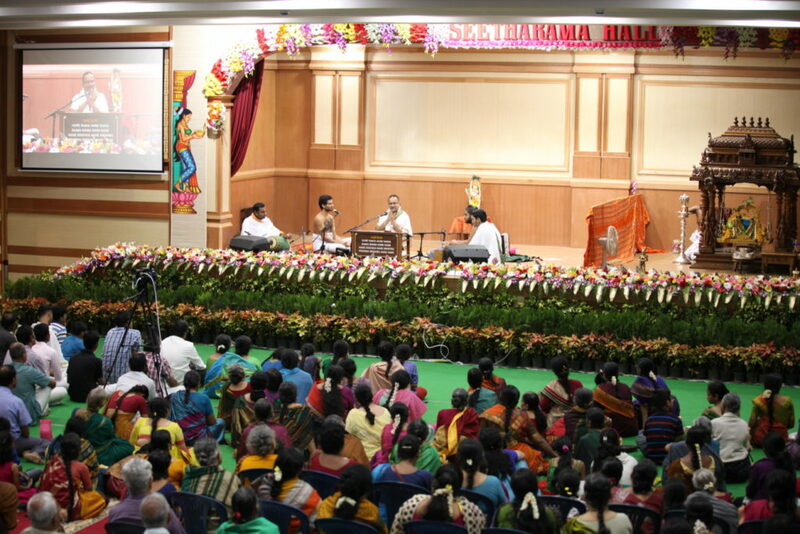 Adjacent to the temple is the Seetharama Hall, a beautiful state of the art auditorium with up to date facilities, huge seating capacity, massive dining hall and kitchen, for conduct of weddings, private functions, concerts, corporate meetings etc.